Frank Schneider, 49, member of the dmexco Board of Directors holds the position of Director Marketing, Sales & Operations. Christian Muche, 46, member of the dmexco Board of Directors is responsible for the areas Business Development, Strategy & International. dmexco is the international leading expo & conference for the digital industry. Comprising of a unique combination between an exposition and a conference it stands for innovative and future-oriented marketing in the midst of a global growth market.dmexco 2012 – in Cologne on September 12 & 13 – will see around 500 renowned exhibiting companies from all over the world, more than 350 international conference speakers, 20,000 trade visitors from all over the world. For trade visitors the dmexco is free of charge! All information at www.dmexco.com. 1. You recently went on a US on behalf of dmexco. What were your observations? Is the dmexco receiving acceptance on an international level and in particular in the USA? 2. How did the discussions go? Who did you talk to? 3. 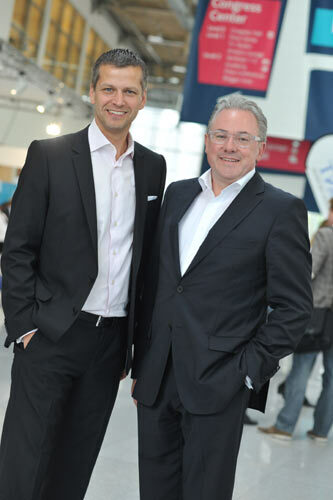 What demands/expectations do the international participants, exhibitors and speakers have regarding the dmexco? 4. Which new US-American companies have you been able to win over for the dmexco? 5. In February you were already able to announce 40 percent more registrations than for the same time period of the previous year. Is this positive trend in the exhibitor registrations ongoing? What is the current situation in hard figures? 6. How has the focus shifted – compared to last year – with regards to the exhibitors? Which theme categories have grown – and which have lost in significance in terms of the number of exhibitors? 7. To what extent does the structure of the registered exhibitors also reflect the current trends of the digital industry? 8. What do you consider to be the five strongest trends of the global digital industry at present? 10. Brands have to provide experiences more than ever today. What can digital communication channels achieve in terms of brand experience? 11. Can you give us a brief idea of the conference programme: Which themes will be on the agenda? Who have you been able to engage as speakers?